since an exam is being like this, i expected to study hard for better success. Really this is a great thing for those law students who will take exit exam in the future bcz it has a contribution for how to study implidly for good result. i need 2003 to 2006 e.c exit exam for my preparetion. I need to send to me exit exam question from 2oo3 up to 2oo6 E.c. It was very nice especialy 4 distance learners. thanks alot Abrham!!! i hope u will post the 2005 EC exam soon! it is a valuable. thanks too. Mr. Abrham, Thanks a lot, you are always courage to share valuable and new information. 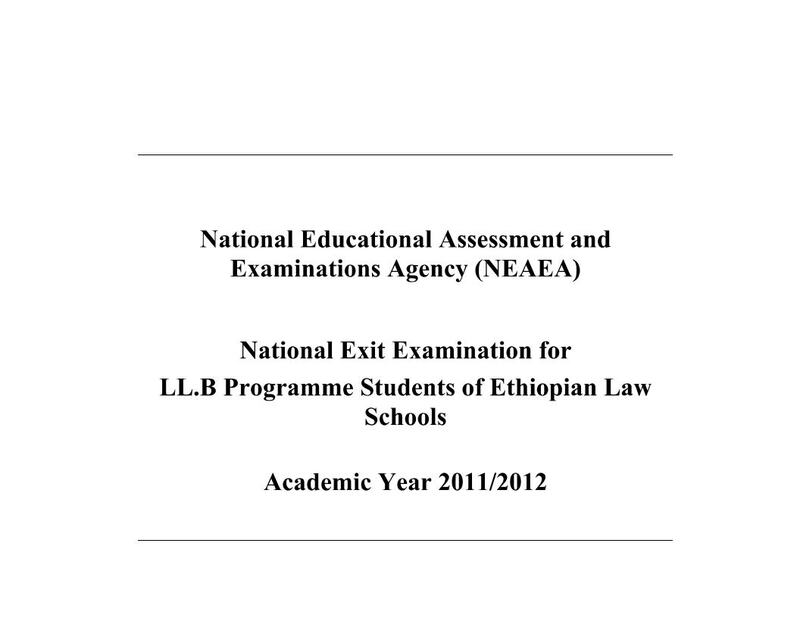 Now, you come up for this new development which is a national exam for LLB programme. I expect for others like LLM entrance and advocates licensing exam. ALOT OF THANKS TO YOUR GREATEST CONTRIBUTION FOR THE DEVELOPMENT OF OUR LEAGAL SYSTEM!!!!! I REALLY WONDER YOUR EFFORT THAT YOU ARE FORWARDING SUCH KNOWLEDGEABLE AND IMPORTANT MATERIALS AND ENACTMENTS. Many many thanks Abrham !!! This is very important for those who are going to take the exit exam, including myself. I hope you will post the upcoming 2005 EC exit exam too.